The Card Home is like no other senior living opportunity. Far from the brick buildings that look more like schools, the size of our Victorian home offers a warm and intimate feeling that makes every resident feel special, and provides the closest similarity to a family setting available anywhere. This beautiful Victorian home offers a total of 20 lovely private rooms, each with either a half or full bath. 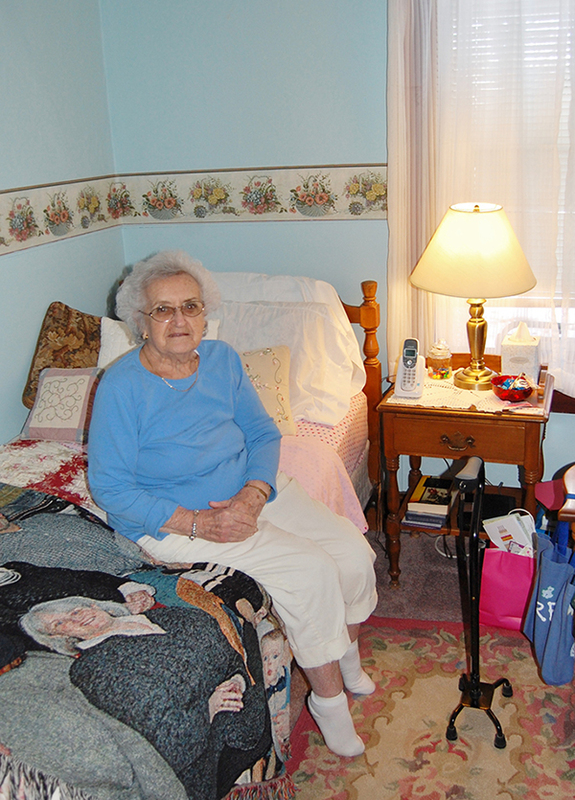 Residents may choose to have them furnished with our furniture or to use their own furniture. As The Card Home is not an assisted living or skilled nursing facility, we do not have medical personnel on staff. Consequently, residents must be of general good health, be ambulatory and capable of performing personal care. Residents must be able to make their own way in a steady manner, to come to meals (temporary illness excepted) and take their own medications. The Card Home does have an elevator. 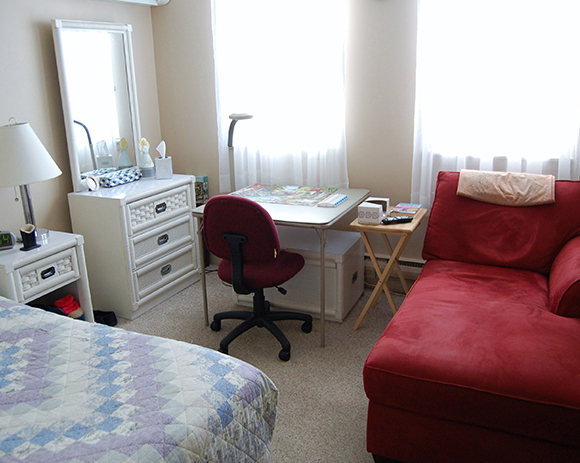 Room – each room includes the use of our furniture, if you choose. Bath designation is based upon availability. Those with a half bath will have access to either a walk-in shower or bath tub on each floor of the Home. Meals – residents receive three delicious and nutritious meals a day, all home-cooked in our kitchen. We also offer a mid-morning coffee snack and a mid-afternoon beverage, cookies, crackers or ice cream. Residents are expected to come to the dining room for meals unless temporarily ill or incapacitated. Learn more about Dining at Life at The Card Home. Climate Control – both heat and air conditioning are included in the rent. Cable TV – cable TV is available in each room. Most residents bring their own television, but some smaller sets are available. Staff will assist in making the connections. WiFi – all rooms have WiFi accessibility. Staff will assist in making the connection. Housekeeping & Laundry – housekeeping services are included in the rent. The laundry services includes towels and bedding. Residents are welcome to use our machines to do their own personal laundry, if they so choose. Activities – all activities that transpire at The Card Home are included. This includes entertainment, exercise classes, and many other activities. For more information on our Activities, visit Life at The Card Home. Rent for couples is 1.5 times the rents listed above; only a limited number of rooms are large enough to accommodate two people, so double occupancy is not always available. The Card Home also offers short-term Respite Care for an elderly parent or relative whose family is concerned about leaving him or her alone. This is offered at the above rates based upon space availability. In addition, guest rooms are available at the above rates if space is available. APPLICATION FOR ADMITTANCE AS A RESIDENT and return it to The Card Home.